The adidas Ultra Boost 3.0 Royal will be making its debut later this Spring/Summer 2017 along with a handful other releases. 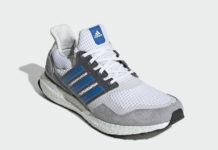 This new version of the adidas Ultra Boost has a similar color scheme as the “Mystery Blue” version, but differences itself with the use of Royal. 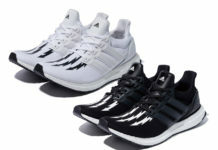 Featuring a full Royal Blue Primeknit upper that has a matching cage and heel counter, while sitting atop a full-length White Boost midsole and Black rubber outsole. Check out the detailed images below and look for the adidas Ultra Boost 3.0 “Royal” to release on January 1st, 2017 at select adidas Originals retail stores. The retail price tag is set at $180 USD.